Architect: Bruner/Cott & Associates, Inc. 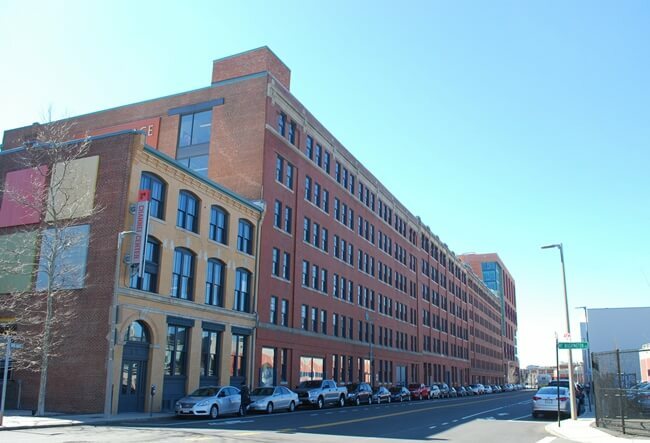 Occupying an entire city block between A Street and Channel Center Street at the corner of Iron Street, the Channel Center Project was a multi-million dollar restoration of 19th century industrial brick buildings for commercial and residential use. 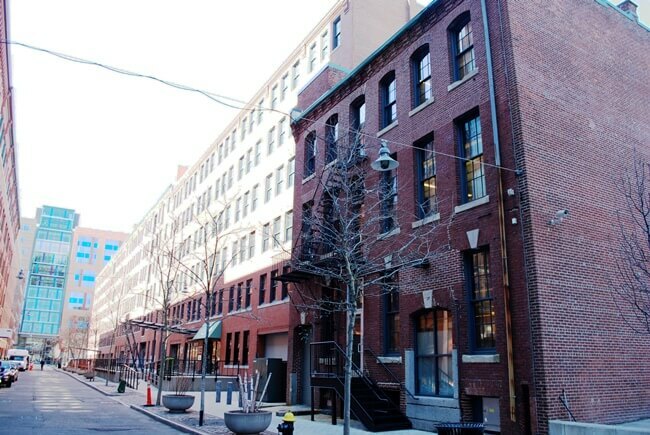 Like the project at 63 Melcher Street, M&A performed wood window and door restoration at Channel Center. 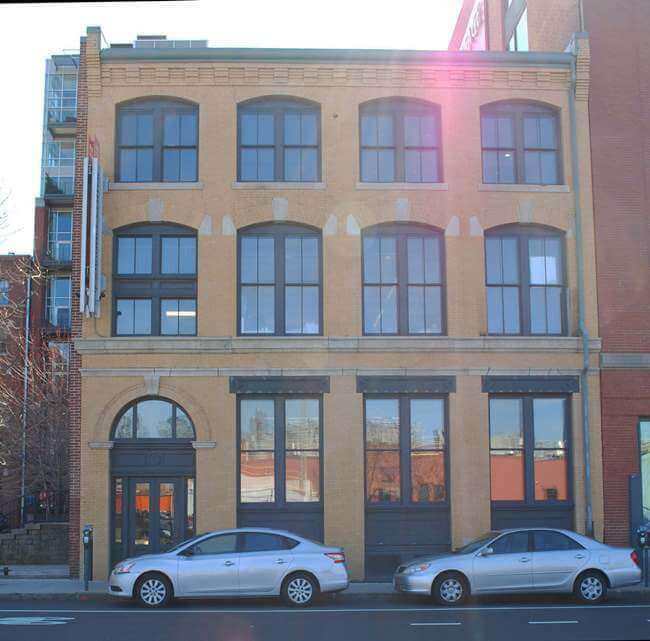 Concentrated on the first floor of the buildings, M&A removed the existing wood window sash and doors, stripped them of their existing paint, de-glazed and re-glazed the panes of glass at the sash, and performed wood conservation as required to the wood sash and doors themselves. 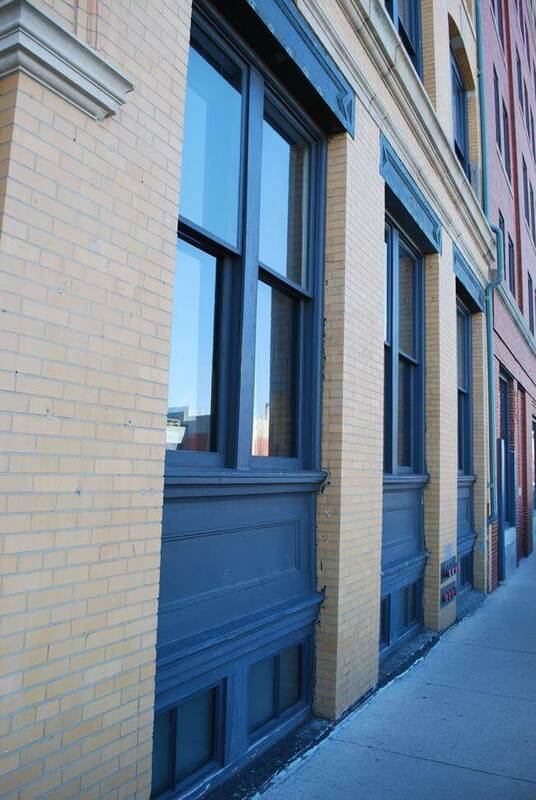 In addition to restoration of existing wood windows, M&A also installed new interior wood trim that again, matched historic profiles, at the new metal windows. M&A also fabricated and installed custom lobbies with mahogany paneling and mirrored finishes. 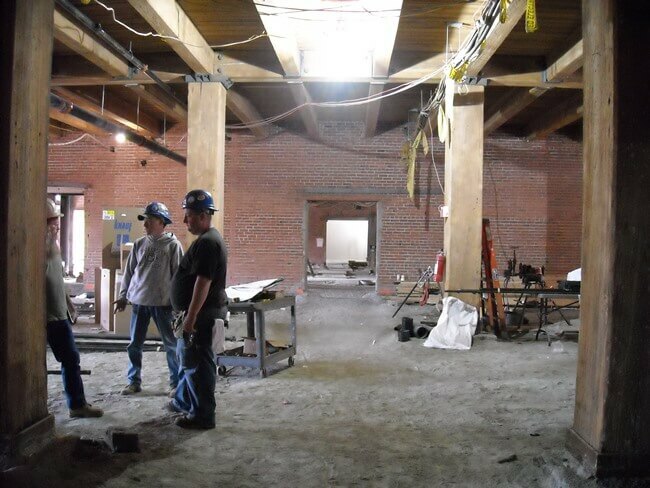 To ensure the architectural history of Channel Center would live on, M&A was instrumental in the fabrication of a new custom entryway to replace the original. 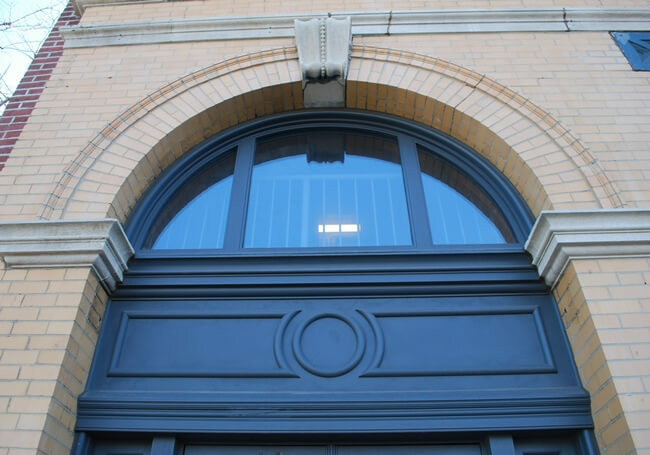 The new historic replica matched the existing molding profiles and general design of the original, but instead of being a two-leaf door, like the original, the new door was constructed as a single leaf. 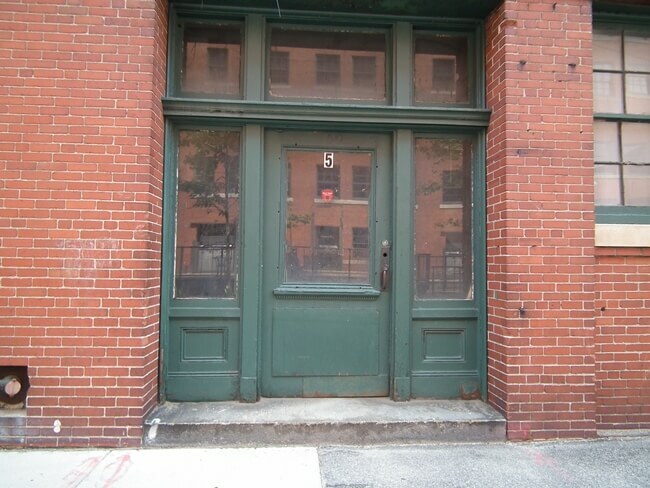 New bold, Italianate-style over door paneling separated the door leaf from a large three-paned archtop transom. 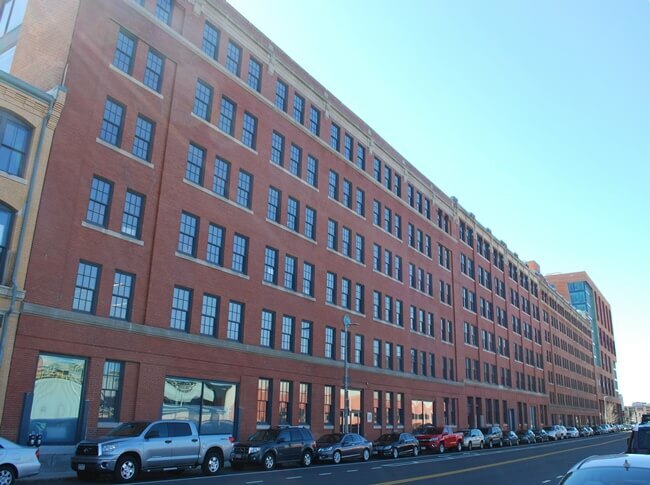 The replication of this historic entryway at 30B Channel ensures that the streetscape of Boston’s Fort Point neighborhood remains in-tact for future generations.